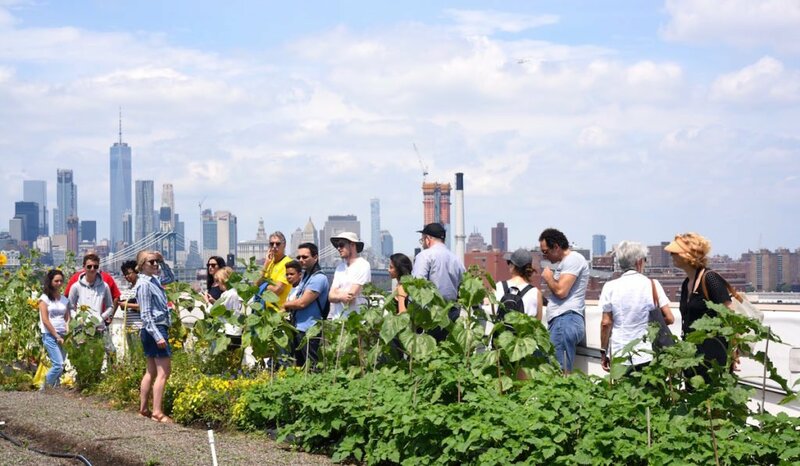 Visit the world’s biggest rooftop farm, explore new parks in Brooklyn, go to the movies for $5, see local sharks, or visit one of Brooklyn’s museums for free. 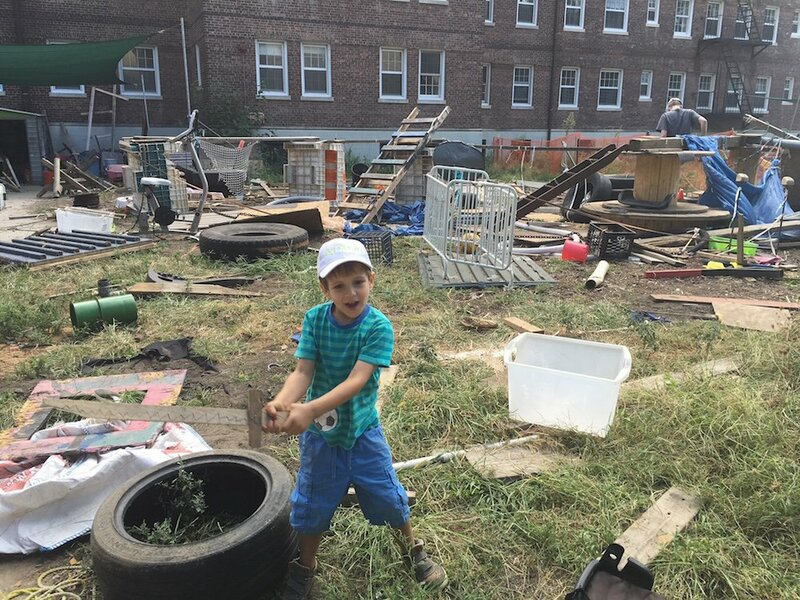 We have put together an overview of ten, kid-friendly activities in Brooklyn this summer. 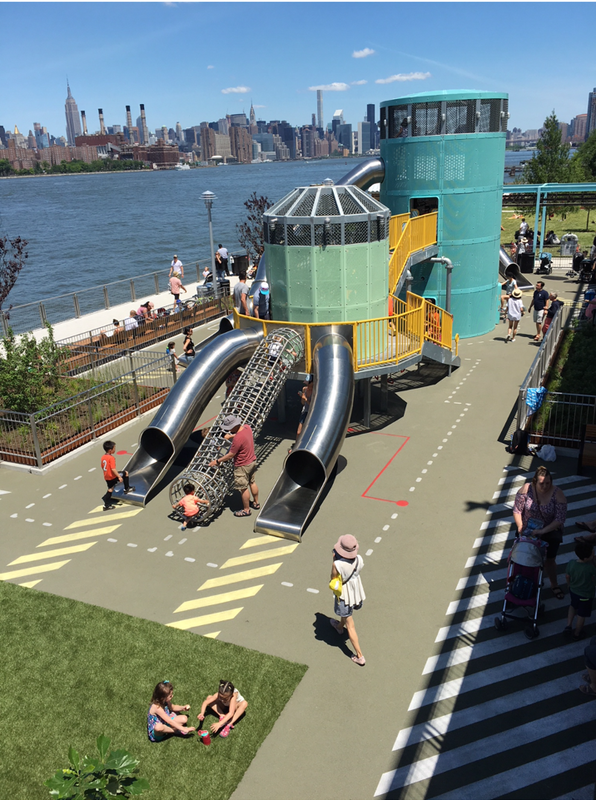 A new waterfront park featuring 6-acres of public open space is now open on the site of the former Domino Sugar refinery in Williamsburg, two stops away on the NYC ferry from Pier 1 in DUMBO with miniature sugar playground, beach volley ball field and sprinklers. Recommended for ages 4 years and up. Find out more here. Brooklyn Grange in the Navy Yard is the world’s largest rooftop farm! 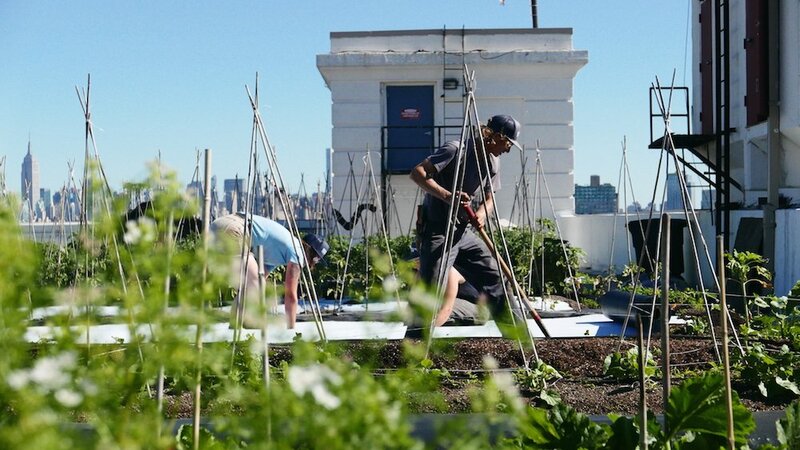 Find out about their daily operations and farming methods, the basics of the business model, and the environmental benefits of urban agriculture and rooftop farming, and enjoy a walk around the farm. 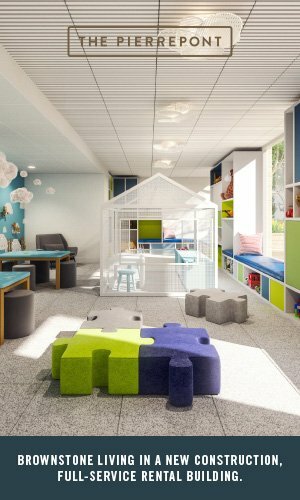 This access is intended for individuals, families and groups of four or fewer. 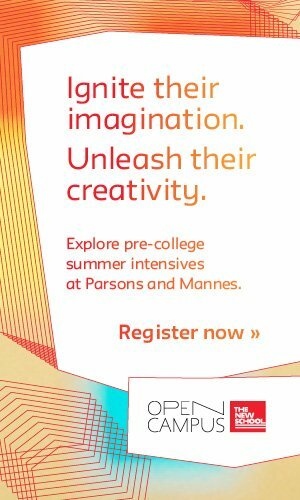 Pre-registration is required. 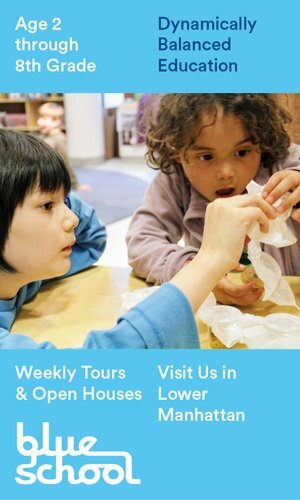 They offer two Wednesday tours starting at 10:00AM and 11:30AM. 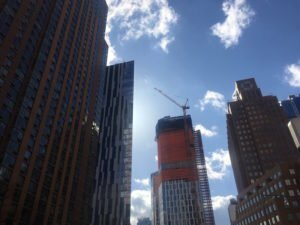 Tours leave promptly from Building 92 and last approximately 45 minutes each. Rain or shine! $15 per person, more information here. The new exhibit Sharks! 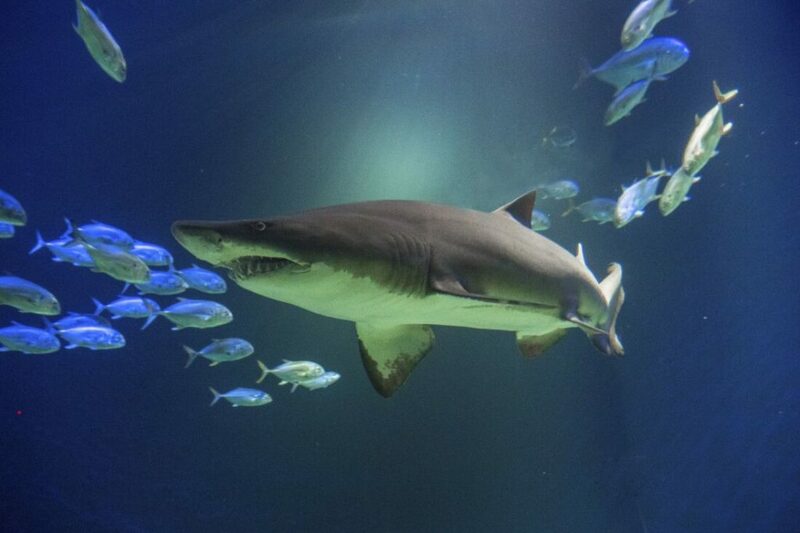 at the New York Aquarium in Coney Island leads visitors through nine galleries eye-to-eye with sharks, rays and many different species of ocean wildlife that live off the coast of New York. Recommended for all ages, no strollers are allowed inside the Sharks! building. More information here. 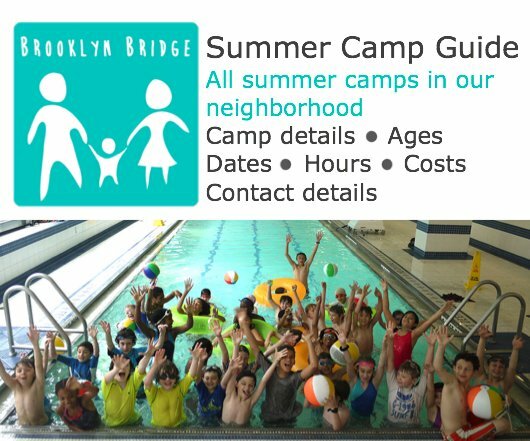 You can take the kids kayaking in Red Hook, Governors Island and Brooklyn Bridge Park this summer – for free. Children under 18 must have an adult guardian present. Recommended for 4 years and up. The Red Hook Boaters operate from the New York City Louis Valentino Jr. Pier Park at the end of Coffey Street in Red Hook, Brooklyn. 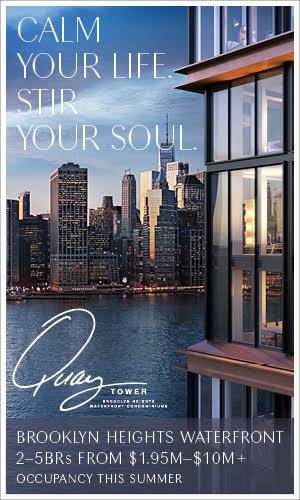 Sundays 1:00 PM – 4:00 PM until September 23rd and Thursdays 6:00 PM – 8:00 PM until August 16th. Glide along the water while kayaking with the Brooklyn Bridge Park Boathouse at the Pier 2 floating dock! 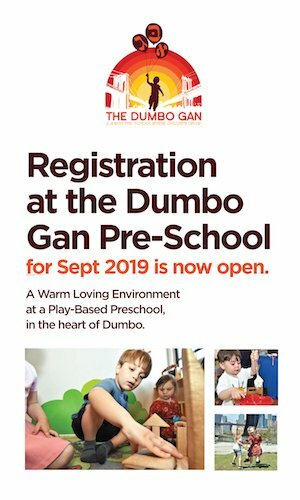 All levels are welcome and no experience is necessary. 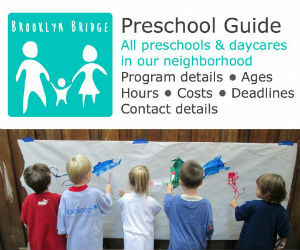 Thursdays 5:30 pm – 6:45 pm and Saturdays & Sundays 10 am – 2 pm until September 30th. 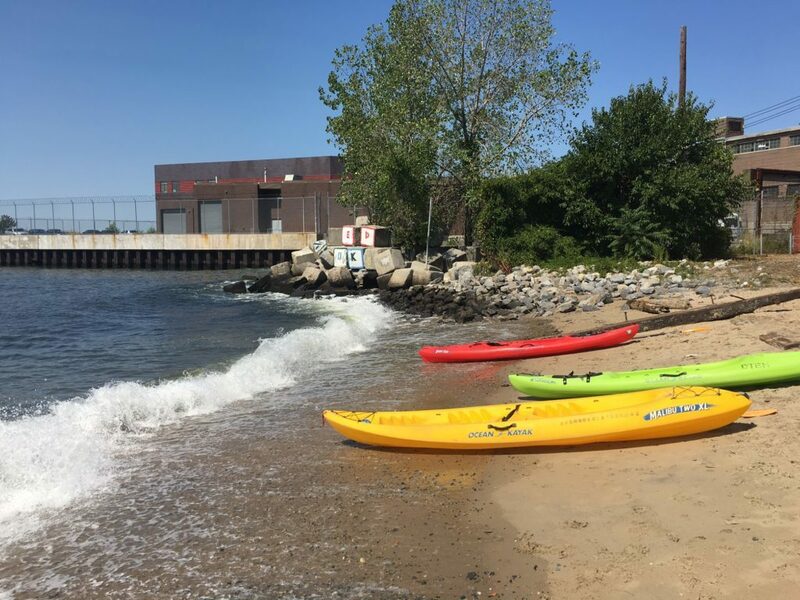 Free kayaking on Governors Island is open until mid September on Saturdays from 11 am to 4 pm a Pier 101 in a small cove. The last kayaks goes out at 3:30pm. Governors Island ferry from Pier 6 on weekends for $3 round trip for adults and free for kids. Schedule here. NYC Ferry South Brooklyn route from Pier 1 and Pier 6 on weekends for $2.75 each way. Schedule here. NYC Ferry East River route from Pier 1 on weekends for $2.75 each way. Schedule here. 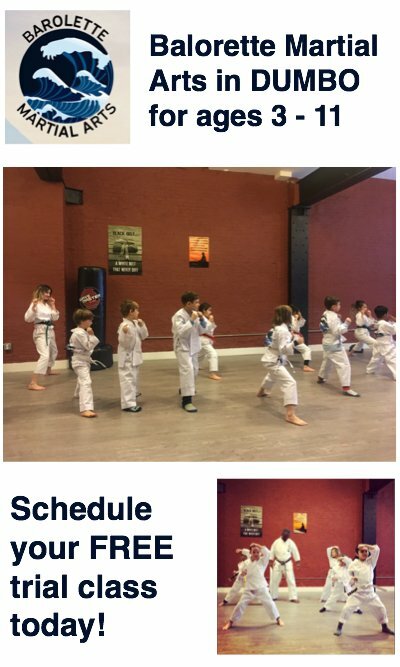 Kids Camp a Alamo Cinema in Downtown Brooklyn is an affordable way for families to watch great films together during summer break. Buy your tickets online for $5 and reserve your seats in advance. 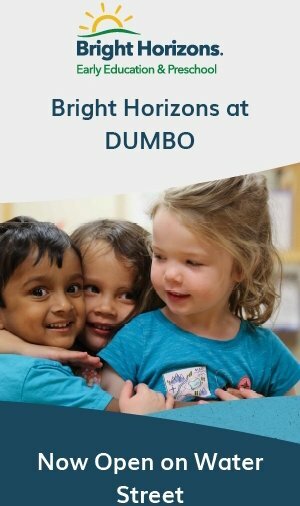 Most Kids Camp screenings are ages 3 and up. Find out more here. 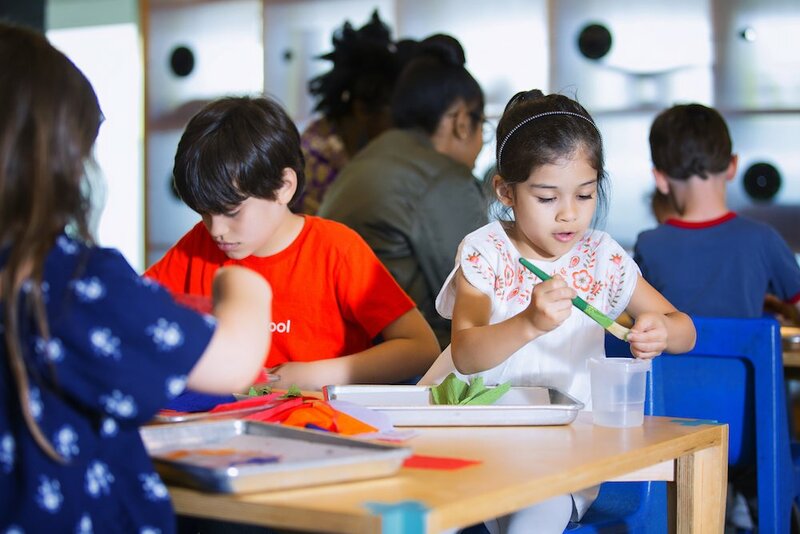 ColorLab at the Brooklyn Children’s Museum in Crown Heights is a new family art studio that invites both parents and children to take part in creating art inspired by Afrofuturism and a rotating array of African-American, Afro-Caribbean, and African contemporary artists. Children ages 2+ are encouraged to think outside of the box and create masterpieces with help from the museum’s staff members. ColorLab is open Thursdays from 2pm-5pm, and 11am-5pm Saturdays & Sundays. Find out more here. 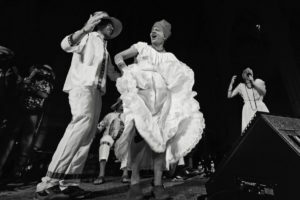 Explore New York City’s museums and attractions with Culture Pass. 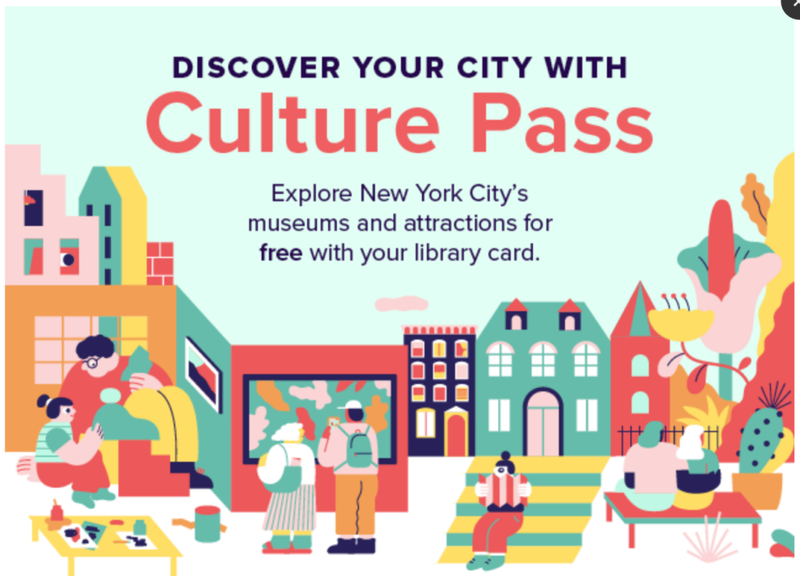 If you have a library card, you can get free admission to dozens of cultural institutions including the Brooklyn Children’s Museum, the Transit Museum and Brooklyn Botanical Garden. More information here. 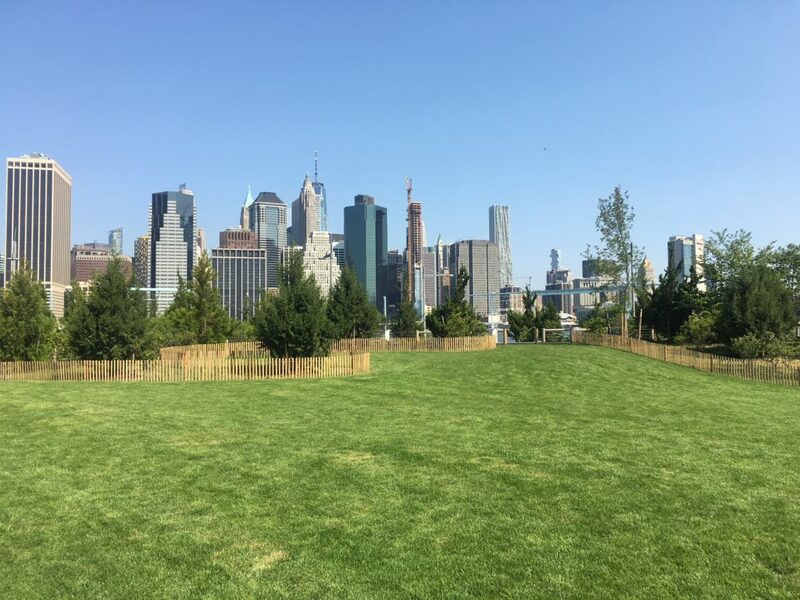 Five acres of lush open space with around 550 trees are now open at Pier 3 in Brooklyn Bridge Park! 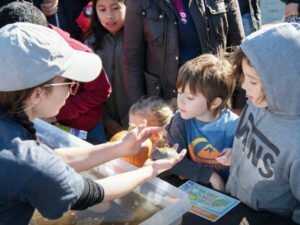 Pier 3 features a large central lawn, an exploratory labyrinth, a hardscaped area for small events and performances and more! All ages. 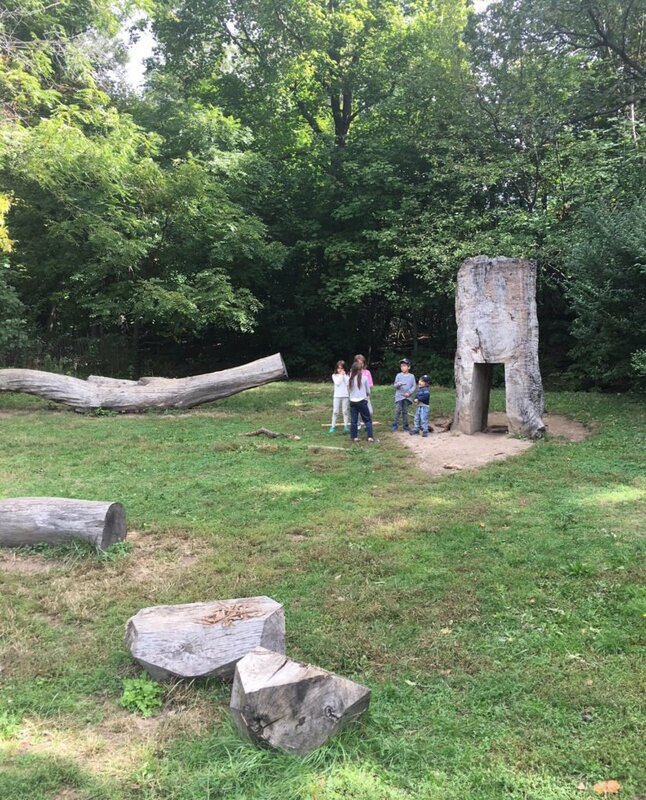 Prospect Park used trees damaged by storms and other materials from within the Park to engage children with nature and encourage unstructured play. For ages 3 and up. The area is located in the center of the park. Find out more here. 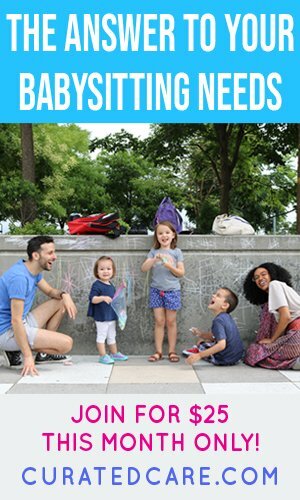 Do you want all local parenting news in your inbox? 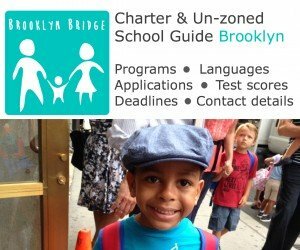 Sign-up for our bi-weekly newsletter now!